Exclusive, small class – limited to eight people. Carmie McCook coaches CEOs to celebrities. Grab your audience’s attention immediately — and hold it! Plus multiple individual video-recorded practice opportunities with coaching and feedback! 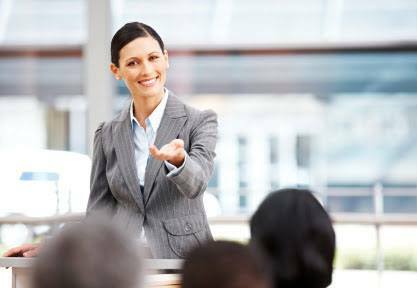 Traditionally, professional-quality public speaking training has only been available to those working for large companies. But, Carmie McCook is introducing a new concept: Affordable, practical, small group training that delivers big results for entrepreneurs, individuals with small businesses, or individuals with big organizations with small training budgets. Now the expert level of public speaking training and coaching she provides leaders with Samsung, Pepsico, Honda, Bayer, National Geographic, Yale University and many other top brands is available to everyone. So, why not learn from the best?